Weight Loss Community - Where It Is Weight Loss Made Easy! Our Weight Loss Community - Welcome! Where It Is Weight Loss Made Easy! Join our weight loss community, where you can discuss, express your opinion, or read others' tips and reviews. 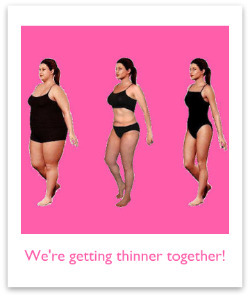 It is truly weight loss make easy! 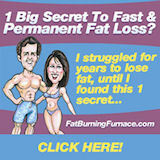 Losing fat can be a lonely business, especially if your friends and family aren't also trying to take some pounds off. Watching them eat whatever they want and sit around like couch potatoes can make you feel like doing the same. But here at Womens-Weight-Loss-Success-Stories.com, you can find a group of like-minded people who are facing the same struggles and challenges and enjoying the small daily successes that you are. Our little weight loss community is "all about you." What does that mean? Well, first and foremost, it's your zone for weight loss support... from me, from your peers, from anyone and every one who wants to participate. It's a place where we can share, voice our opinions, tell what works and what doesn't and celebrate our successes... no matter how small or how BIG! Follow the links in the list below to go to the weight loss community areas that interest you. Please check back often to see new contributions or to see new sections that I'll add from time to time. As time goes on, I DO expect this to be one of the busiest sections of this website, so you won't want to miss a thing! Or just subscribe to our RSS feed by clicking the orange button in the left column or at the bottom of the page. That way you'll always know right away when anything changes here in our community. 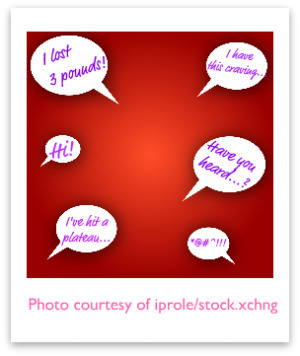 Your weight loss stories. Inspire us and let us celebrate with you, even if you haven't yet reached your goal yet. Tell us your inspirational story, while inspiring others! Your weight loss challenges. 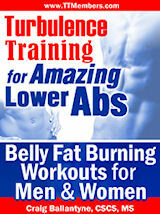 Have you dealt with an inability to lose pounds consistently or as fast as you'd like? What barriers to weight loss have you faced? How have you overcome or coped with them? Your tips to lose weight. 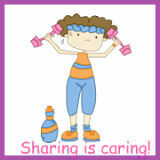 Do you have any tips that have helped you lose weight or stay on track with your program that might help others? Your weight loss product reviews. What have you tried? Did it work? Why or why not? What do you recommend? Don't be afraid to be first in any of the weight loss community areas. By sharing, we all benefit from added weight loss support, and as I said above... losing weight with the support of others becomes weight loss made easy!